Dhaka, Bangladesh. 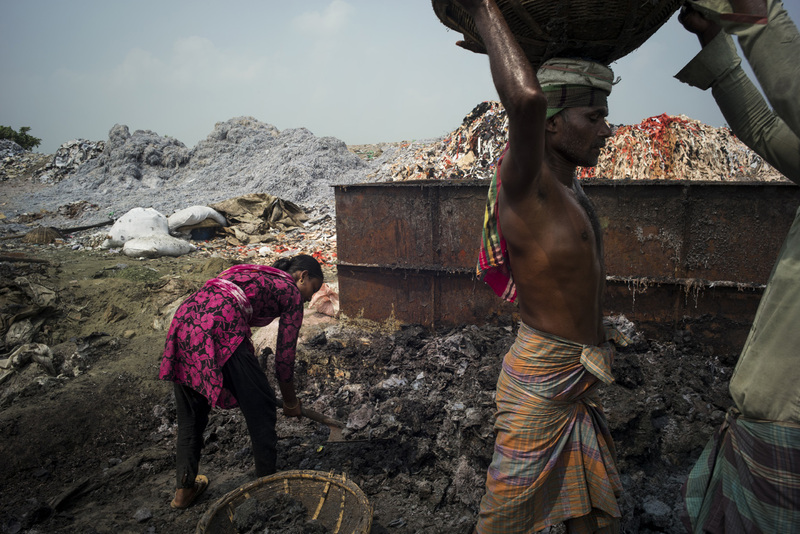 Along the Dhaleshwari River, a tributary of the Buriganga, families buy leather residues at low prices that cannot be used by tanneries and garment factories. Thanks to a cooking process, they obtain the basic material for the manufacture of mosquito coils. Installed on the site for years, the soil is deeply discoloured and waste is thrown into the Dhaleshwari. Dhaka, Bangladesh. En bordure de la riviÃ¨re Dhaleshwari, un affluant de la Buriganga, des familles achÃ¨tent Ã bas prix les rÃ©sidus de cuir non utilisables par les tanneries et usines de confection. Grace Ã un procÃ©dÃ© de cuisson, ils en tirent la matiÃ¨re de base pour la fabrication des serpentins anti-moustiques. InstallÃ©s sur le site depuis des annÃ©es, le sol est dÃ©colorÃ© en profondeur et les dÃ©chets sont jetÃ©s dans la Dhaleshwari.